The last of today’s 2014 Coffee Spot Awards shortlists is the “Best Saturday Supplement” Award, won in 2013 by Caffeine Magazine. The Saturday Supplement is a place where I can write about coffee, coffee-related events, places which I liked but which didn’t really fit into the category of a Coffee Spot and frankly, anything else that takes my fancy! This Award recognises the best of this year’s Saturday Supplements. Just so we’re clear on this, the Award is not about my writing (that would be far too self-serving). It’s about the actual subjects that I’m writing about, which this year included coffee festivals, magazines, books, and going for dinner, all of which makes the comparison a little tricky, but that’s my problem! Back in February I wrote a series of four Saturday Supplements, based on an extended version of my Caffeine Magazine article on Newcastle. 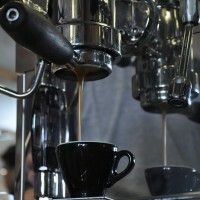 It featured Pumphrey’s Coffee, Ouseburn Coffee Co, Pink Lane Coffee and Flat Caps Coffee. 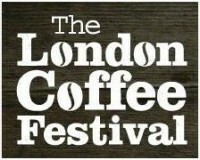 The London Coffee Festival has become an annual fixture in my diary and this year I attended for three of the four days. I saw so much I had to write it up over seven Saturday Supplements (although that total included the preview). Topics included a round-up, cups, kit, food, competitions and the coffee itself! Also in the running for Most Popular Coffee Spot. In contrast the Caffé Culture Show is a much more relaxed affair, which I managed to cover in a single day and with a single Saturday Supplement. Nevertheless, I managed to see multiple espresso machines, from lovely vintage lever models to the latest modern technology, plus lots of great coffee! In the summer I attended the launch of the “The Bitter Trade” which was held at Prufrock. The Bitter Trade is a novel set in and around London’s first coffee houses and the launch event included a very interesting and informative talk by Dr Matt Green on the earliest coffee houses. There was also a communal 17th century sing-along and some 17th century coffee! 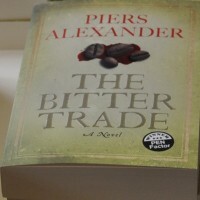 On the back of “The Bitter Trade”, I turned book reviewer and covered three very different coffee-related books. These were The London Coffee Guide, by Allegra Publishing (does what it says on the cover); Coffee Obsession by Anette Moldvaer ( a wonderful introduction to the world of coffee, covering everything from growing coffee to making and drinking it); and Robert Leigh’s From Lime Street to Yirgacheffe (an honest, penetrating insight into coffee growing and production in present-day Ethiopia). I often cover Coffee Spots that do food, but I rarely mention the food itself, so I thought it was time I did. Hence my first (and only) venture into being a foodie, where I wrote about my (very pleasant) experiences of having dinner at Caravan’s King’s Cross branch. 2014 was definitely the year of the Coffee Festival and the highlight for me was the inaugural Cup North in Manchester. I attended both days and managed to get four Saturday Supplements out of it, prosaically named the preview, round-up, Part I and Part II. Cup North has also been nominated for the Best Espresso Award, although in fairness that was more down to Sheffield roaster, Foundry. Sadly I didn’t manage to get to the first ever Glasgow Coffee Festival, but I did manage to get a Saturday Supplement out of it, writing a nice preview. Seems I missed out on a lovely (but cold) festival!